Leatherette-grained stock provides a richer look and feel. Business card slot keeps contact information at hand. Oxford Twin-Pocket Folder, 100-Sheet Capacity, Dark Blue, 25/Box - Back to school! Esselte Twin Pocket Report Covers feature large interior pockets with a capacity of 100 sheets of letter-size paper. Business card holders included on inside front pocket for added convenience. 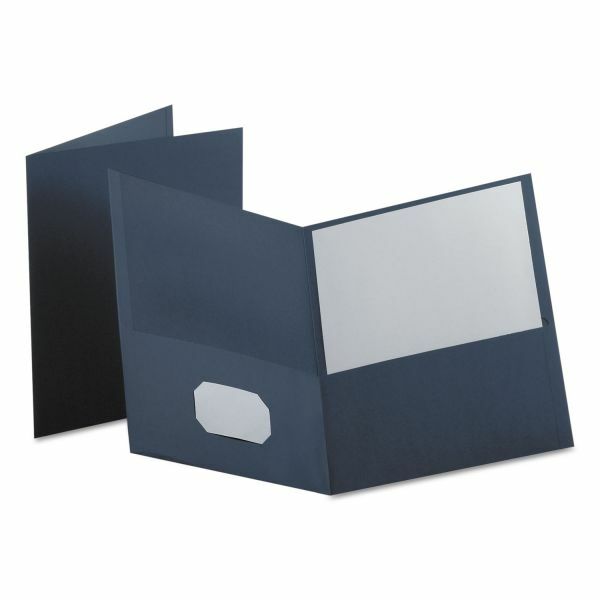 Portfolios are made of sturdy leatherette material to prevent tearing.